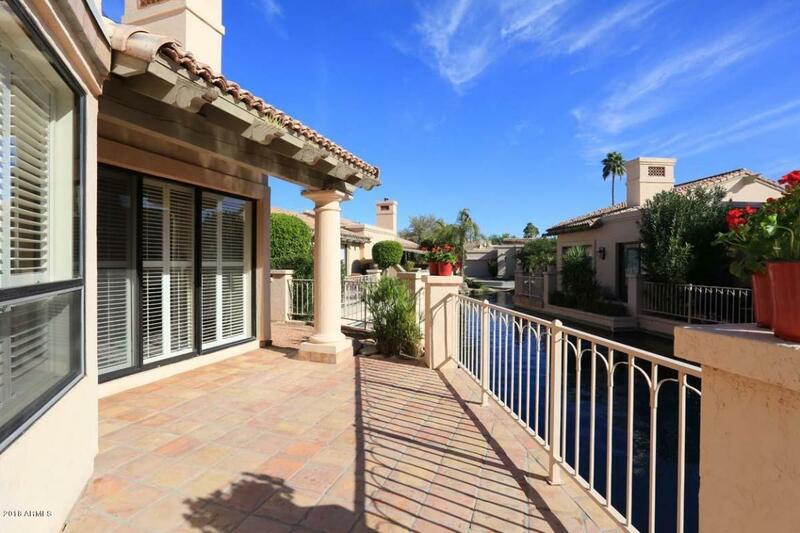 Beautiful townhome on the water with great views! 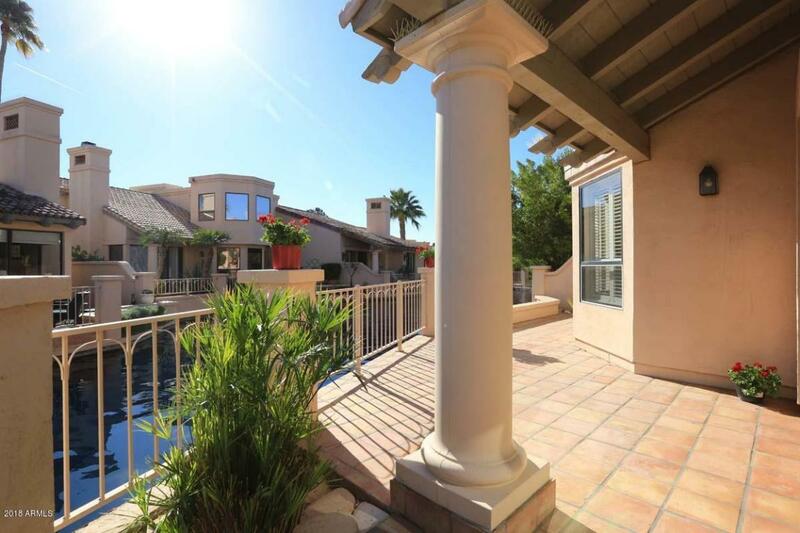 Great location in Scottsdale Ranch on Lake Serena. Las Brisas features a resort community, with 3 community pools, 2 tennis courts, sidewalks & citrus trees throughout. North/South lot floods home with plenty of natural bright light! Gently used by original owner. Well-designed floor plan that maximizes living space - generously sized at over 2000sf! Double doors to large bright office or third bedroom. Remodeled with flair featuring new carpet, paint, Samsung stainless kitchen appliances, brushed nickel fixtures, ceiling fan, & updated fireplace! New roof (2016).Architectural details feature soaring ceilings with expansive arched windows. 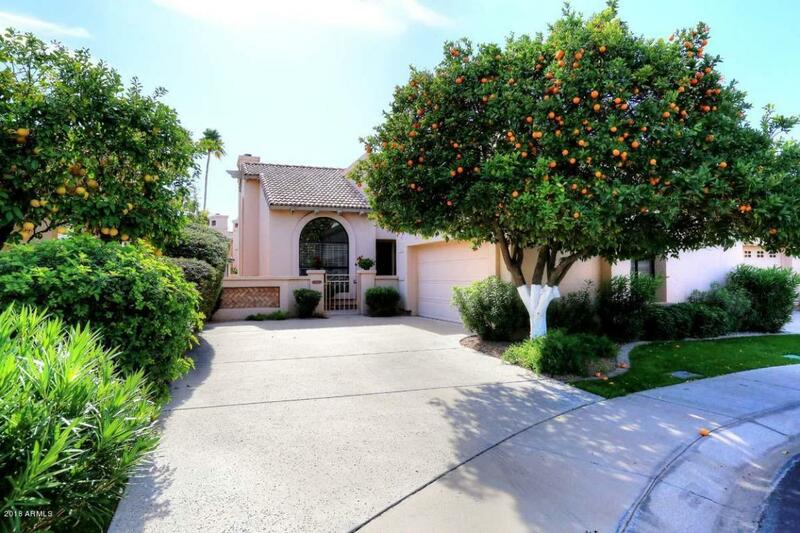 Close to parks, tennis center, restaurants, shopping, golf and Spring Training!